Only one man can restore peace to Legend of Hand‘s troubled world, using the power of… rap music! Oh right, this one’s about Grandmaster Hand, not Grandmaster Flash. My bad. In that case, make that, the power of… martial arts! To make matters worse, Grandmaster Hand has gone missing, and guess who gets to go looking for him in a rather stylish point ‘n click adventure? That’s right: you do! Wax on, wax off? Locating this Grandmaster Hand fella isn’t going to be an easy task, as clues to his whereabouts lie scattered across several islands, each with an extremely skilled Finger of Hand (Hand Solo?). In case you were wondering, yes, you will have to defeat them all to progress. Once you’ve figured out their location, that is (because no one important likes to stay out in the open, apparently), delving deep into inventory puzzles, chatting up the locals for information, and such. Typical stuff for this particular genre. Oh, and did I mention how Legend of Hand also likes to bust out a bunch of mini games and turn-based combat on top of all the pointing and clicking, complete with RPG elements? Surely you had figured that much out already, or were you expecting to defeat said Fingers of Hand through witty dialogue choices? Yeah. No. Not gonna happen. Only way past these guys – and several other, smaller threats, I’d wager – is to kick some serious you-know-what! May your HP never fail. 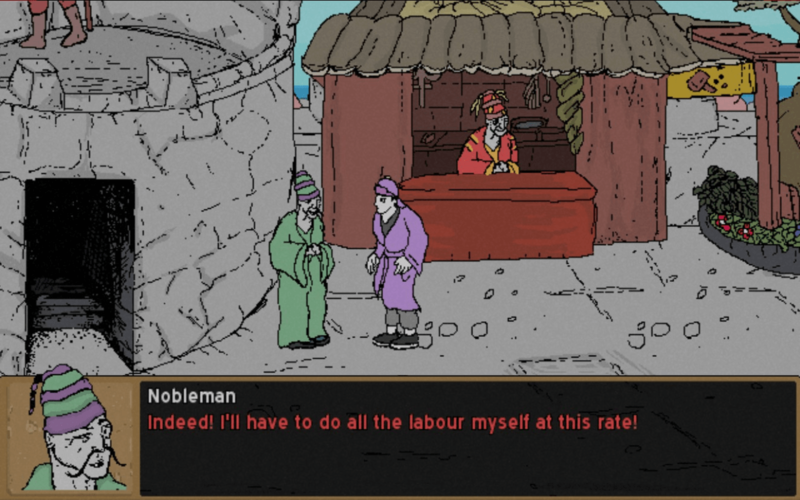 Legend of Hand is available from Steam, carrying a $6.99 price tag.